Sacramento is a model MSBL league. It was formed by some baseball-hungry 40-somethings in 1984 – two years prior to the creation of the National MSBL and joined the National MSBL in 1988. In the intervening 27 years five men, including Jim, served full terms as presidents and they transformed it from a fledgling, four-team league into a model of ambition and success with 550 players, its own lighted field complex, a hall of fame, and 45 MSBL World Series titles – believed to be the most by any MSBL league. 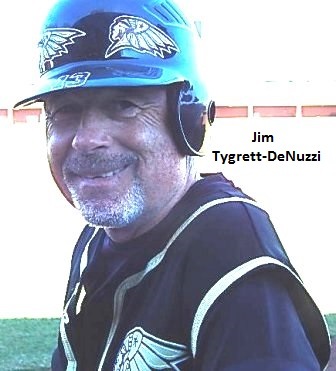 Jim, who has also served as a league commissioner, secretary, treasurer and vice president of the league, took over in 2009 and not only did he not screw it up, he saved it quite a bit of money. The league was not, as it previously thought, operating as a 501c3 not for profit organization – something it realized only after some investigative work by Jim. “We thought we were, but we weren’t,”. Jim is a long way from where he started. He was born on Staten Island NY, grew up in New Jersey worshipping Yankee third baseman Clete Boyer. He would often take the train, bus and subway to Yankee Stadium. He also saw games at the Polo Grounds and at Connie Mack Stadium. After High School, Jim played baseball at Missouri Valley College. He moved to California in 1978 and recently retired as the jail’s program services coordinator in Placer County’s alternative sentencing program.